Chalk up the third consecutive Serie A win for Fiorentina. There was nothing earth-shattering in La Viola’s performance against Reggina tonight, but on day of mourning for the upper management (Maria Della Valle, mother of Diego & Andrea, passed away earlier this week) the brother-presidents will be satisfied to see their team is steadily cruising towards a good very good Serie A season. Prandelli was rotating his team tonight, yet his boys played a calm game, in control (even during the -rare- offensive assaults of their opponents) and didn’t succumb to frustration when the ball refused to enter the net. What better way to prepare for Tuesday’s upcoming match against Bayern Munich (at Allianz Arena, for which Luca Toni is in doubt). As for Alberto Gilardino, well… numbers speak for themselves. 18 minutes played, two goals. This team really can’t do without him. Reggina tried to play this game as best as they could: a backline entrenched into their own penalty box, and full use of the counter-attack tactic when possible. Francesco Cozza has been rapidly approaching top form this past month, as his long-range attemps tonight demonstrated (Bernardo Corradi on the other hand, is growing more and more unsettled, not even appearing on the bench for this one). As for Fiorentina, the squad rotation tactic forced Prandelli to christen a unique Pazzini-Jovetic striking duo, with the Montenegrin forward eager to make a repeat of his good performance vs. Italy Wednesday. As for Pazzini, the goal-hungry “crazy” youngster (they call him “pazzo” in Firenze) was finally rewarded for his good efforts tonight, getting his name on the scoreboard in the 40th minute mark. Before that took place however, Fiorentina had progressively taken good control of the game and come close to opening the score many times before, in particular through some good shots by Jovetic, Felipe Melo, Gobbi, and the aforementioned Pazzini. In fact, La Viola were denied a clear penalty shot just 15 minutes in, when a Melo was pulled down inside the box and prevented to connect with a Jovetic cross. Referee Orsato couldn’t however ignore the Fiorentina protests, when a Kuzmanovic pass set up Santana through on goal, and forced keeper Campagnolo to bring him down. Penalty & red card, and goal for Pazzini. 1-0 Fiorentina at the break. Few teams would have the ingredients to recover from a one-goal deficit and their keeper being sent off, so neeledess to say that a Reggina in “when-it-rains-it-pours” mode was in for quite an ordeal. The match essentially transformed into a shooting practice for Fiorentina, trying their luck from virtually any distance and keeping backup keeper Puggioni very nervous. Little did he know the big trouble was still ahead, when a 72nd minute muscle-strain forced Pazzini off in favor of Gilardino. And indeed, all that Il Gila needed to get his name to the highlights reel were 10 minutes. His two goals tonight (the first exploiting a good Montolivo delivery, and the second a mix-up between keeper and defender) are yet another confirmation of the ex-Milan striker’s rebirth: the goalscoring machine from the Parma days is back, and the fact he just reached Mauro Zarate in the Serie A topscoring charts should shut the naysayers up once and for all. 2-0 and 3-0 Fiorentina and game over. Perhaps too severe a beating for Reggina, who all in all provided some good effort to fight back. Effort alone however, does not win games. Fiorentina know that, and will look to continue their winning streak in Europe on Tuesday… and this time their opponent will be just a tad stronger. GOALSCORERS: 40’ pen. 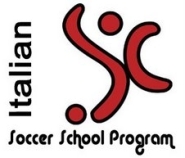 Pazzini (F), 75’, 81’ Gilardino (F). FIORENTINA (4-3-3): Frey – Comotto, Gamberini, Dainelli, Gobbi – Donadel, Felipe Melo, Kuzmanovic (59’ Montolivo) – Santana, Pazzini (71’ Gilardino), Jovetic (67’ Osvaldo). (bench: Storari, Da Costa, Pasqual, Zauri). Coach: Prandelli. REGGINA (4-3-2-1): Campagnolo – Lanzaro, Santos, Cirillo, Costa – Vigiani (39′ Puggioni), Barreto, Carmona – Brienza, Cozza (79’ Di Gennaro sv) – Rakic (52’ Ceravolo). (bench: Tognozzi, Valdez, Barillà, Alvarez). Coach: Orlandi. 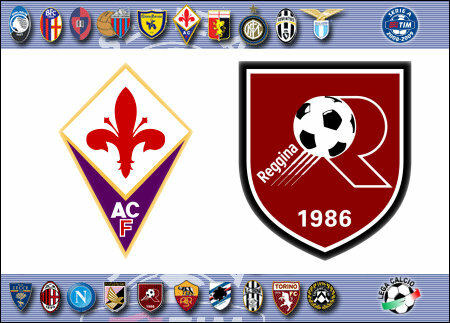 This entry was posted on Saturday, October 18th, 2008 at 7:06 pm	and is filed under Fiorentina, Reggina, Serie A. You can follow any responses to this entry through the RSS 2.0 feed. Both comments and pings are currently closed.